Choosing the right pool enclosure for you! Although pool enclosures in general have several of the same advantages (cleanliness and free air and pool water heating, security …) they have different design and quality characteristics and guarantees. Our sales consultants will, during a visit to your pool site, bring you all their experience to help you with your requirements. We can adapt the height, width and openings as well as all the technical characteristics to suit your requirements. Equipped with optional side doors or sliding entry doors on gable ends they are the least expensive and most popular practical option. The vaults move on wheels and rails. They telescope into each other by opening either from one end or the center. You have Freedom to use your pool when you want, independent of the weather. Offering optimum interior space, it is great to spend time at your pool to rest and relax, entertain your family and friends or simply enjoy the private serenity. Since 01.01.2006, all unenclosed inground swimming pools in most of Europe, whether private or commercial, need to be equipped with a safety fence or enclosure. For you; the peace of mind! Thanks to the “greenhouse effect”, i.e. the sun’s free infra red radiation through the pool enclosure roof ensures a free natural increase of 7°C to 9 °C of the air temperature as well as the pool water temperature. Come rain, wind or snow. This means crystal clear water for you! Security: Access to the pool is not possible for a child when the enclosure is correctly closed. 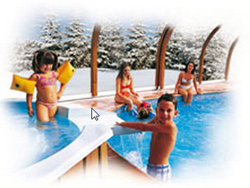 Prolongs pool use to 6 months + per year, or throughout the year with an air heating unit. Savings on water treatment products (about 30% less) because of UV filtered roof. Protection against the wind while swimming. 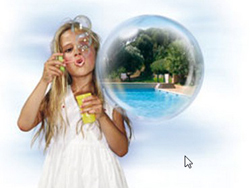 Greatly reduces the evaporation of the pool water. Environmentaly friendly: reduces water requirement for topping up. This material has been successfully used for decades in the building industry, but also in particularly aggressive environments, such as salt storage sheds, bridges and almost all public swimming pools, allows the combination of aesthetics, strength and durability. More mechanically resistant than any other materials used in the design of telescopic swimming pool enclosures. 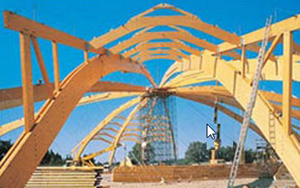 All the wooden arches which we deploy are approved by the most stringent quality bodies in terms of mechanical resistance and anti-damp treatment. STANDARD NFP 90309 (warranty works, safety compliance). 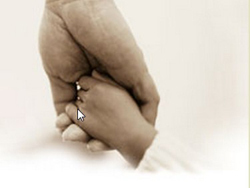 The factory is responsible and very conscious of its environmental obligations. All timber used in our structures comes from selected suppliers who respect the charters relating to the management of forests in the context of sustainable development (PEFC). 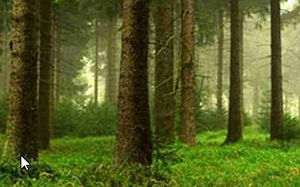 The wood is sourced exclusively from forests where reforestation is practised and biologically diversity is protected. Preserving nature today is to act responsibly for tomorrow.